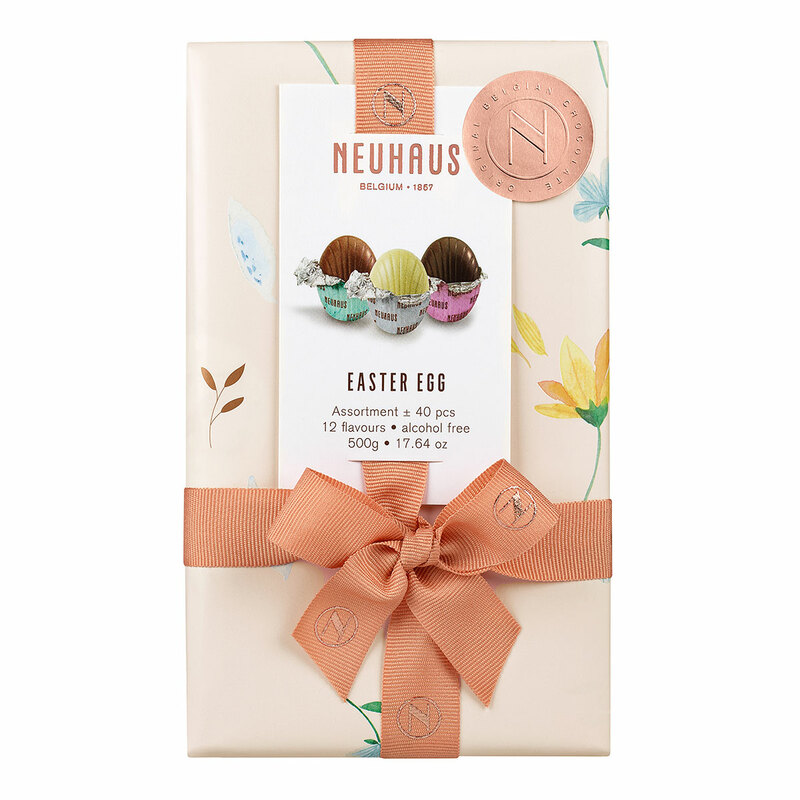 It simply wouldn't be Easter without scrumptious Neuhaus chocolate eggs! 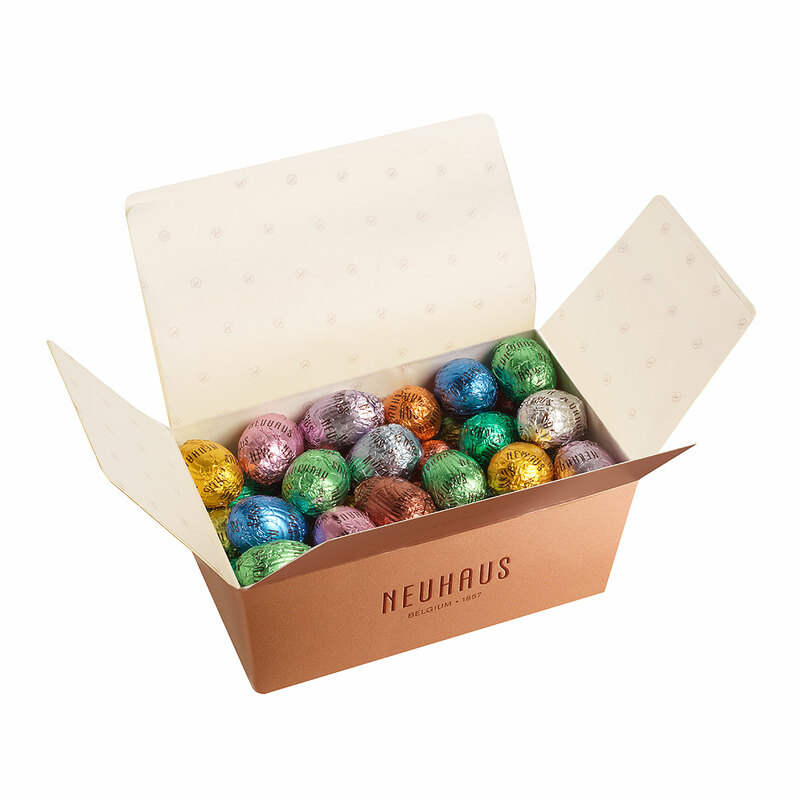 This ballotin holds a delicious assortment of milk, dark, and white Belgian chocolate Easter eggs in gourmet flavors. The ballotin box is specially wrapped for Easter with a pastel paper with spring flowers.